Hello everyone! I've been a bit missing in action, I know, but next week when I'm back from my travels decor8 will be at full swing again with lots of wonderful things to share. I've been busy on my US book tour with Chronicle Books and Anthropologie, gave the keynote at The Creative Connection, and in the early morning I'm flying to London for design week but I'll be back blogging full-time again on Wednesday, September 28th. I can't wait - I've REALLY missed connecting with you here each day but a completely sponsored book tour is a once-in-a-lifetime opportunity so I couldn't refuse - plus I got to meet so many of you - yay! BUT it's not over yet... NEXT UP IS LONDON! This weekend I'll be in London at ANTHROPOLOGIE on KINGS ROAD! 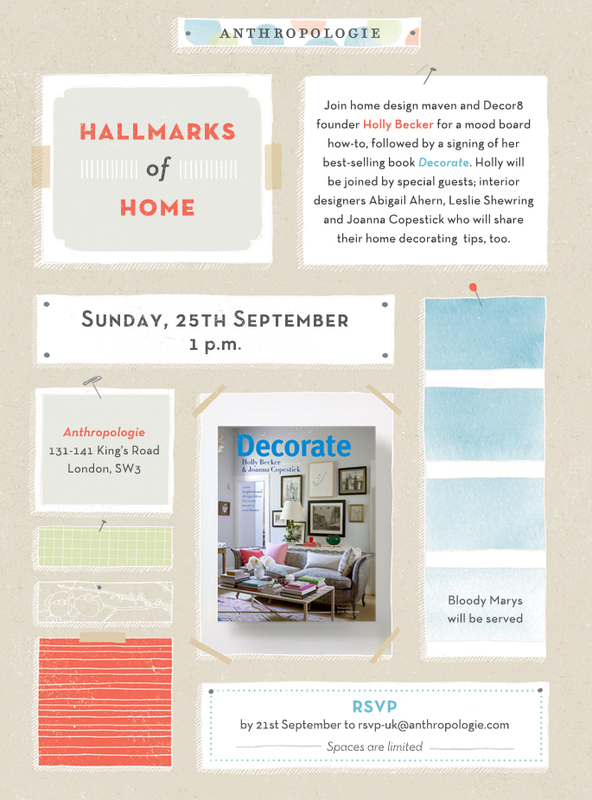 I'll be joined by Interior Design extraordinaire Abigail Ahern, Stylist/Photographer Leslie Shewring and Decorate co-author Joanna Copestick for a fun decorating party to talk about mood boards, show how they're done and of course to meet everyone. Anthropologie is throwing a nice spread for us too with Bloody Marys and snacks, so RSVP if you'd like to join us: rsvp-uk@anthropologie.com -- it's from 1:00-3:00 (I have to leave at 3 pm for another event) so please stop by to say hello to Abigail, Leslie, Joanna and I. We'd love to meet you and connect with other creatives, bloggers, etc. And as you know, Abigail Ahern (shown above in her gorgeous home) is a total rock star in the design world so just having her as part of this event is a total honor and I'm certain you'd love meeting her and hear her advice about decorating, too. 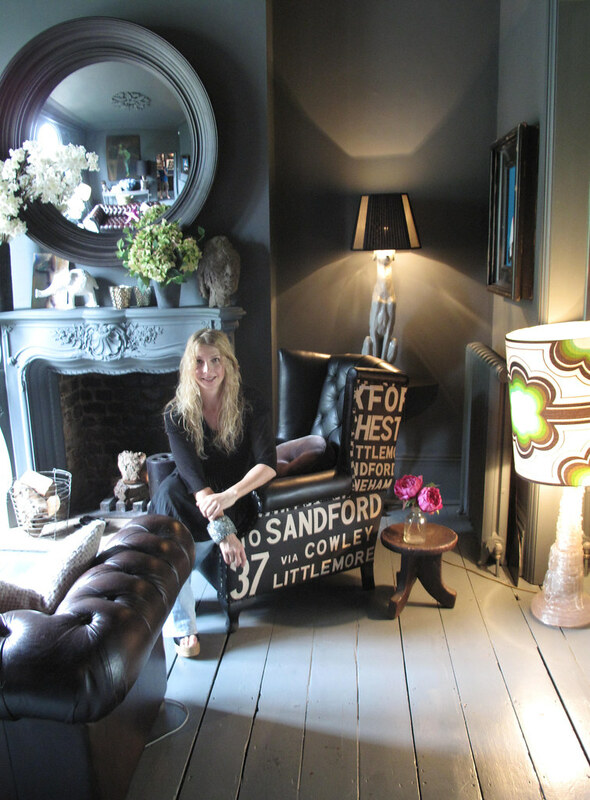 Abigail owns a gorgeous shop in London and is the author of a book that I love called A Girl's Guide to Decorating. The event is completely open to the public, so do stop by - we'll be starting promptly at 1:00. I'll See You In St. Paul!